This is an overview of our Emailing & Faxing System "Dashboard"
1. People who have used other faxing systems that did not allow them to make their own changes to their menus in their own computers, and they want total control of their Daily Specials Menus. 2. People who are not at all computer savvy and want us to enter all of their menu items and create their Daily Specials Menus, and maintain their menus monthly. 3.People who use a combination. They have our staff enter their menu items, but, are computer savvy enough to be able to login from time to time and make changes, and add new items to their menu library. 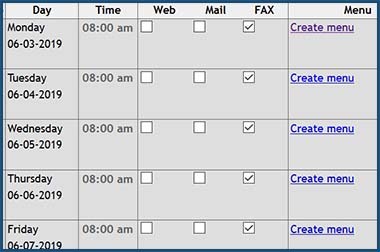 In every option above, WE send your faxes, at a specified time, every day! If your goal is to get your Lunch Specials in front of your business customers eyes every day, we will help you do it! Once your menu items are added to your library, "Select your day" and create your menu. 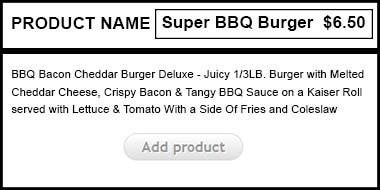 You can create menus the same day, day before, week before...even a month before you want to display your menus. Modify your menus at any time! Simply "ADD" your item to the list for the day. Once your menus are ready for display, you are finished. Our Automated system sends your Faxes and Emails at a time you decide, everyday. You don't need to do anything. You do not need a fax machine to send your faxes, we do it for you! Do I need to offer delivery or online ordering, to promote my Lunch Specials? Promoting your Lunch Specials by Fax and Email has nothing to do with delivery or online ordering. While we will include delivery and online ordering info in your Fax/Email promotions, if your don't offer these services, your customers will simply order and pick up their orders as they do now. 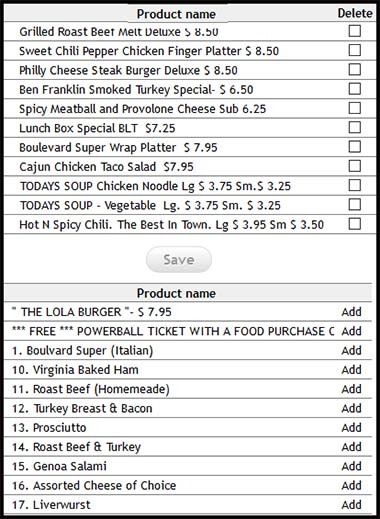 We can provide a free online ordering system for your Daily Specials customers! We can send the orders to your fax machine or an email address. Copyright 2019 i'm hungry now. All rights reserved.